Rayburn Tours is a family-run Tour Operator that has been operating concert tours for music ensembles for over 50 years. Our dedicated team comprises a highly experienced mix of practising musicians, linguists and former teachers, so we truly understand what is important to you and your performers. We take the greatest pride in offering memorable experiences to all musical ensembles, making your performance dreams a reality and leaving you with lasting memories of a special tour. 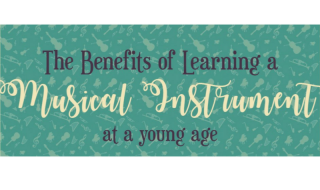 Discover our top 7 benefits of learning a musical instrument at a young age.